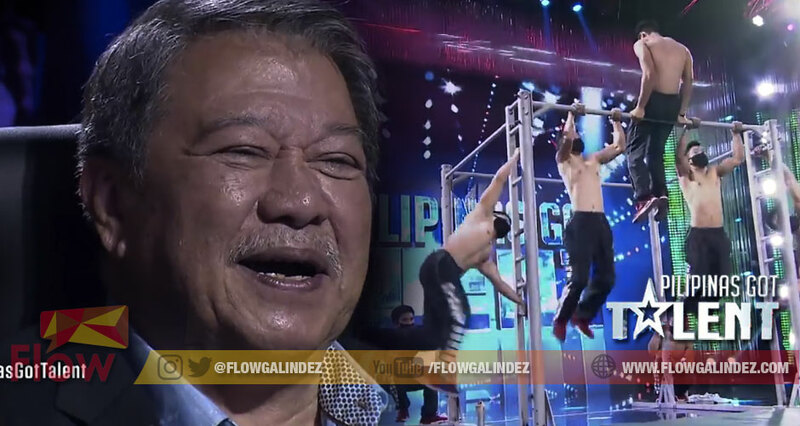 Pilipinas Got Talent veteran Freddie M. Garcia (FMG) immediately give up his Golden Buzzer to the Bardilleranz, the Pull Up Bars Exhibitionist from Baguio City on the first episode of Pilipinas Got Talent Season 6. The body builders of Baguio City will immediately move to the semi-finals giving them an advantage not going to the judges’ cut off. Vice Ganda and Angel Locsin enjoyed the performance of Bardilleranz. Angel said that there can be a talent in hanging out in the gym. Vice jokes in one of the members telling that he will not blame him for falling in love with him. FMG said that he never seen a performance like that ever since he became judge of Pilipinas Got Talent. Vice jokingly answered FMG that he will be coming out. The veteran judge immediately answered he will be competing with Vice if that will happen. Robin Padilla is also one of the judges of Pilipinas Got Talent Season 6. Billy Crawford and Toni Gonzaga hosted the show. It airs Saturdays and Sundays at 7:30pm on ABS-CBN. Previous ArticleWill their hearts find its way home in the finale week of “Pusong Ligaw”?